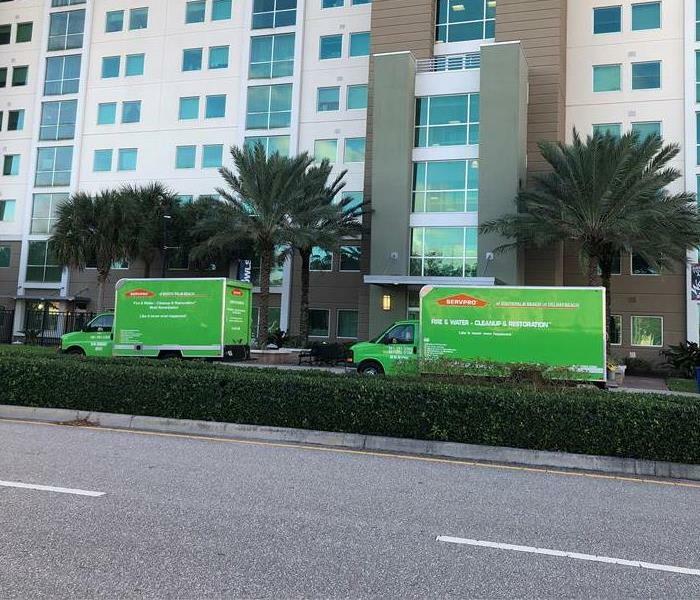 No matter day or night, rain or sunshine, our SERVPRO of South Palm Beach team is always in standby and ready to respond to your residential or commercial loss. 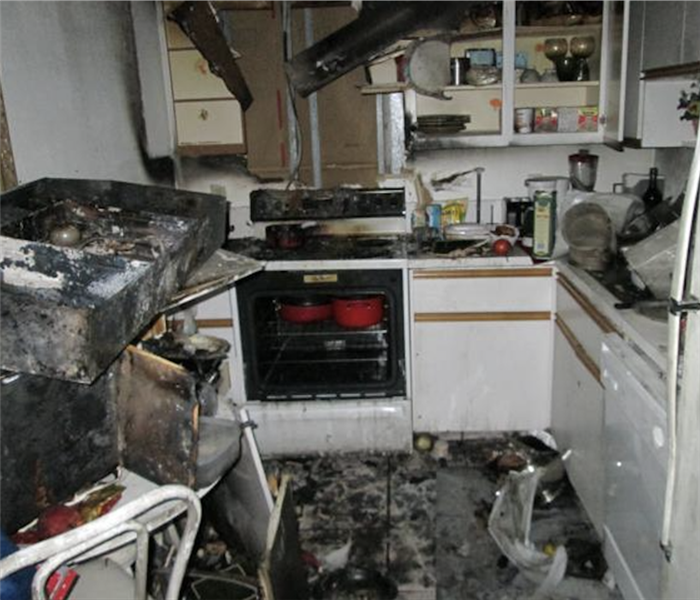 If disaster strikes your home or business in Boca Raton, FL, give us a call! 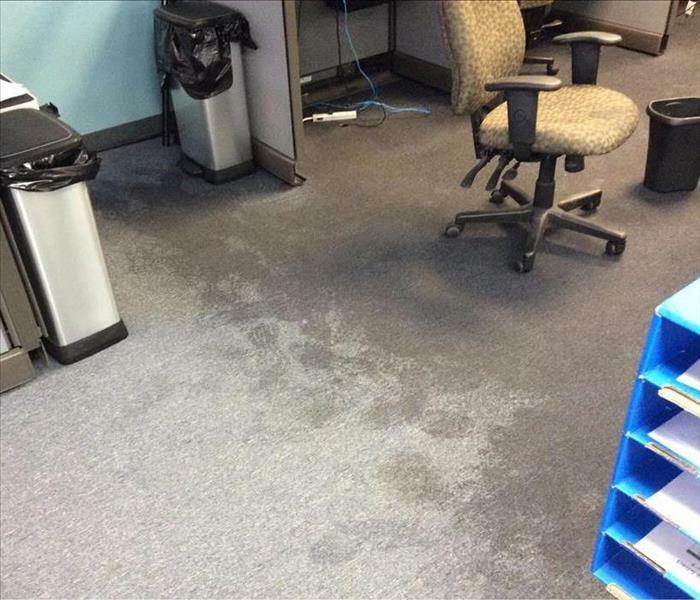 A water loss on your commercial Mission Bay, FL property can bring business to a halt. 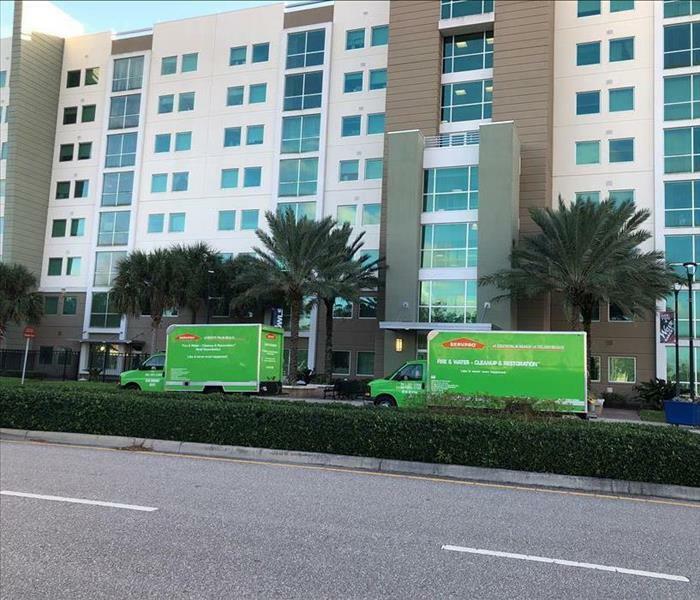 Our SERVPRO of South Palm Beach team understands the urgency to get the water loss properly cleaned up and restored back to normal as quickly as possible. Once the flames have settled you might find your Boca Raton, FL, home or business in ruins. 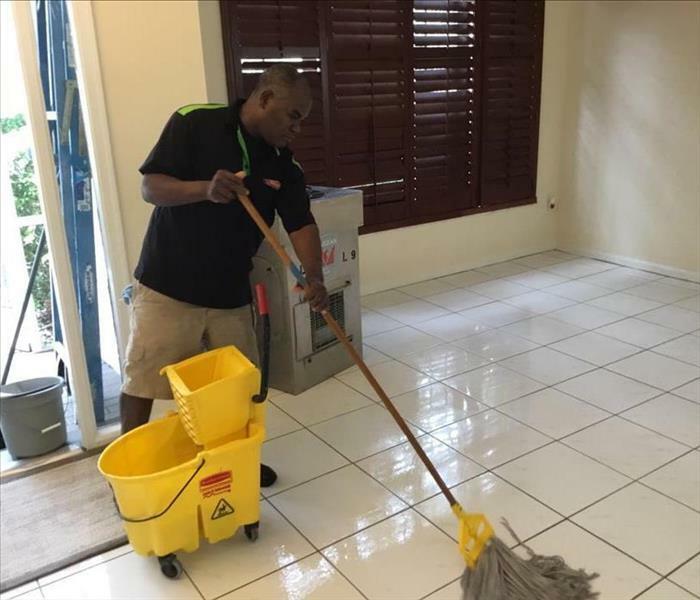 SERVPRO of South Palm Beach has the team and the equipment necessary to properly clean up and restore your property back to pre-fire conditions. 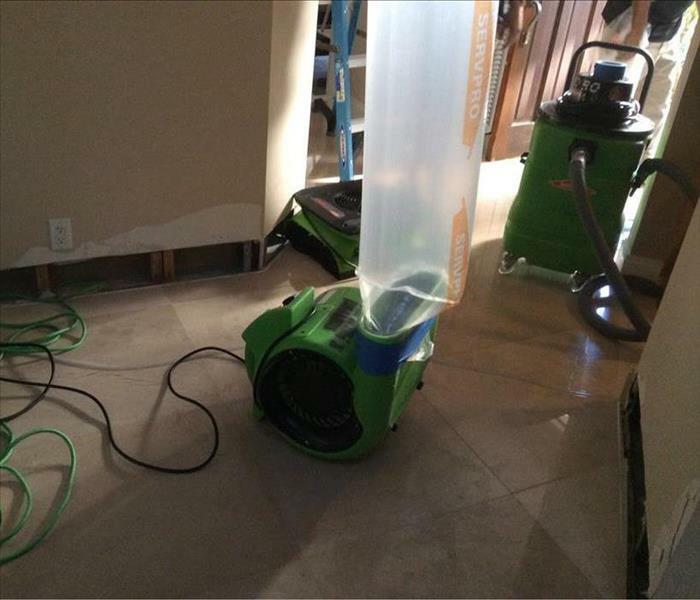 SERVPRO of South Palm Beach - Where Water Can't Hide! 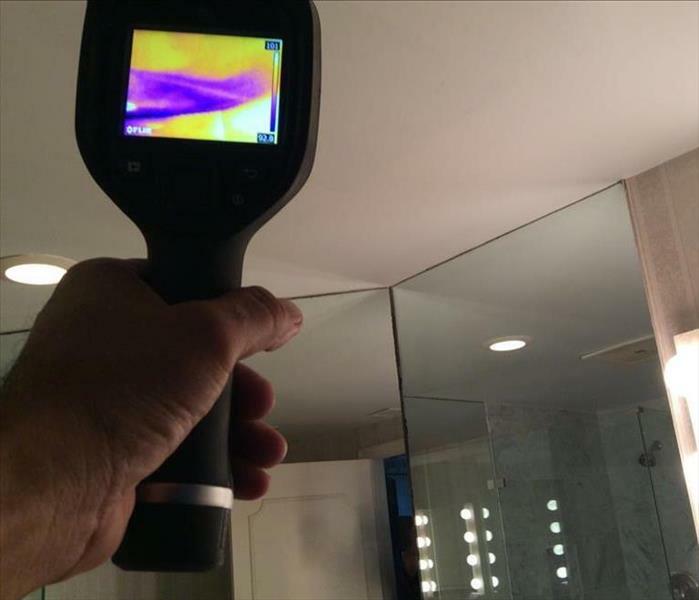 At SERVPRO, we use moisture content reading and thermal imaging equipment to determine the extent of the water migration. 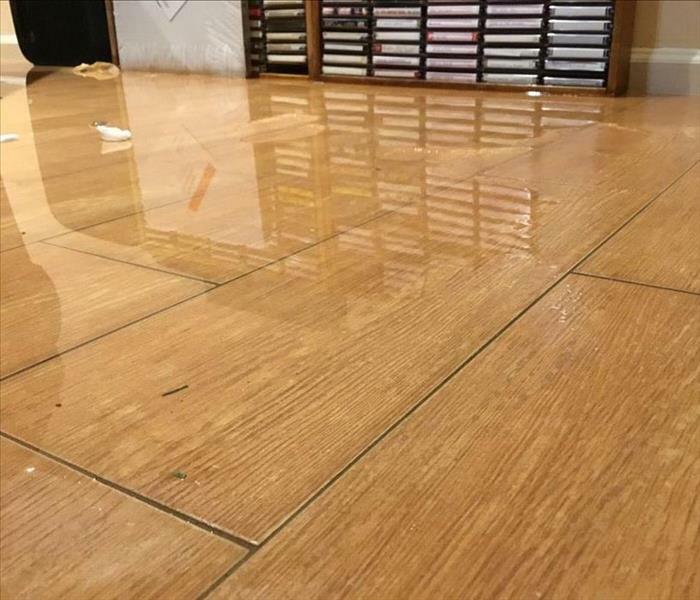 Water damage is not always visible to the naked eye. 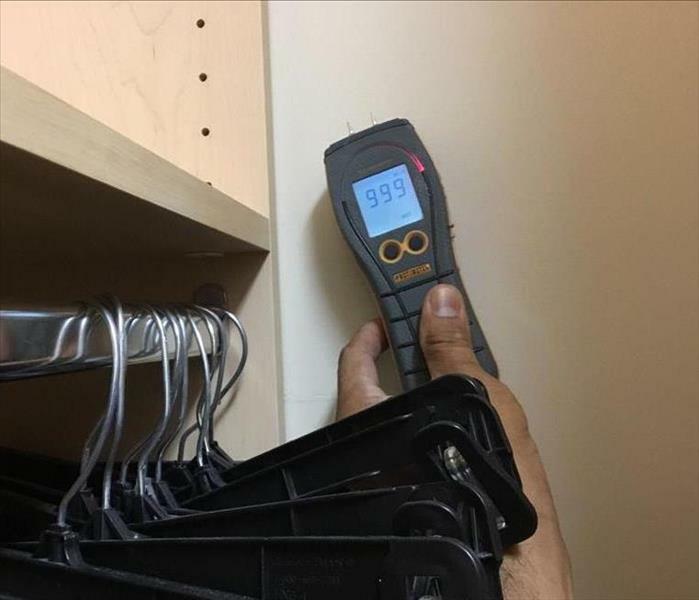 Our technicians use our monitoring tools to show what's beneath the surface to ensure your home is dried properly. Why SERVPRO? During a water loss, our #1 goal is to remediate and restore affected structural materials (drywall, baseboards, flooring, etc.). Removal of affected materials may be required, but we want to cause as little damage as possible in order to properly dry your home. In this photo, our technicians have drilled holes behind the baseboard to dry behind the wall cavity. 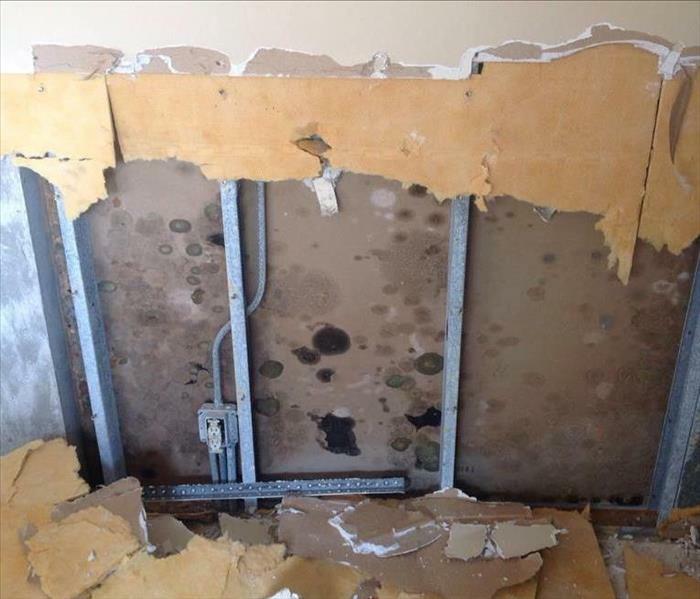 This is opposed to removing the affected drywall, requiring replacement. Why SERVPRO? We are not satisfied with our services until your home is back to normal. Our goal is to make your home or business a safe place, so your loved ones or employees can feel secure. We treat each affected job site as we would with our own homes: with care, expertise, determination and professionalism. Why SERVPRO? We have highly experienced and trained technicians to handle delicate situations at high-end homes and businesses. 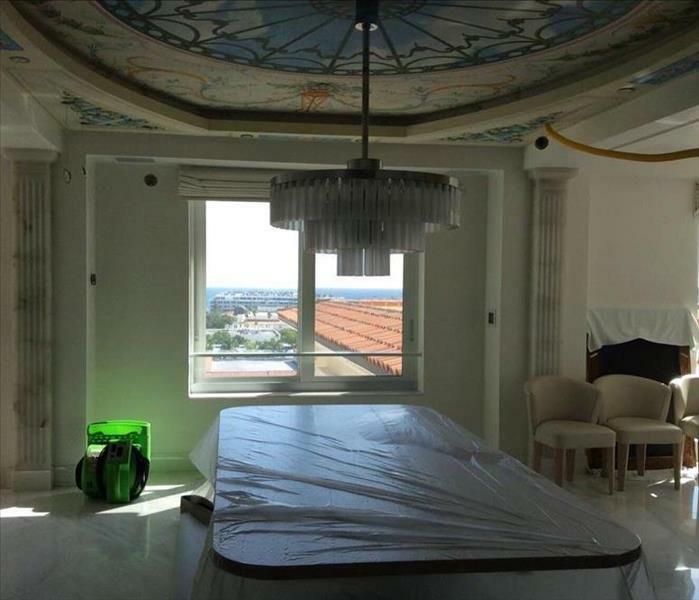 In this photo, we are navigating around water damage caused to ceiling with a detailed, custom mural. 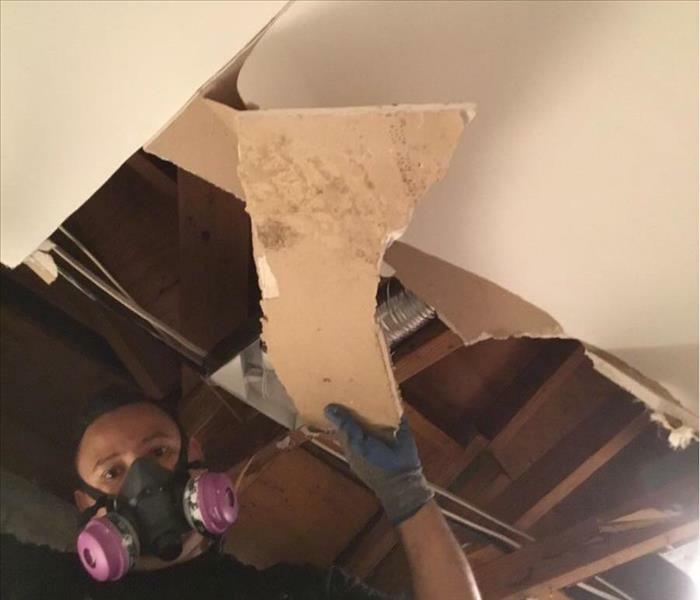 We gently remediated the ceiling without causing further damage, and our customer was extremely happy that the ceiling was saved. Why SERVPRO? We have an elite team of highly trained technicians who are ready 24/7/365. On the scene in record time, our technicians have the man-power to handle any size disaster. In this photo, our technicians have arrived at a local university in response to a multi-level emergency flood. Why SERVPRO? Structural materials such as drywall, flooring, baseboards, etc., do not always have visual signs when they are wet. We have the best tools needed to detect water and moisture migration not visible to the naked eye. That way, we can assure that all affected structural materials are dried properly. Why SERVPRO? We have the creative solutions that empower our technicians to remediate your home or business quickly and professionally. Our goal is to cause the least amount of damage to the affected structural materials, so your home is "Like it never even happened." 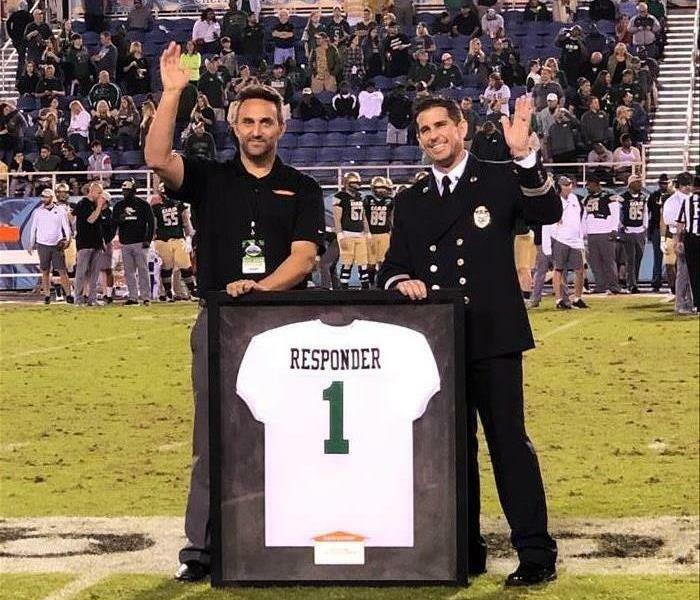 Here is our franchise owner Josh Ruderman, honoring the 2018 Boca Raton Fire Fighter of the Year Captain Tory Buckman on the 30 yard line at FAU stadium during the Boca Raton Bowl. SERVPRO is forever grateful to all first responders who never give a second thought to being the first ones in. 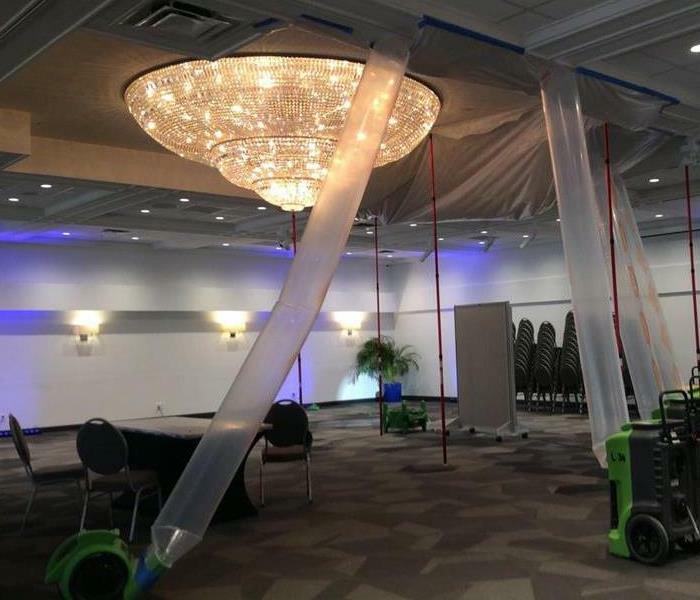 You can see that our water mitigation teams were tackling a complicated roof flood in a high end ballroom that had to be open 3 days after this massive flood occurred for a wedding of 175 people. To avoid extensive damage to the ballroom ceiling, our crews were creative and able to dry the multi-tiered ceiling with minimal damage. 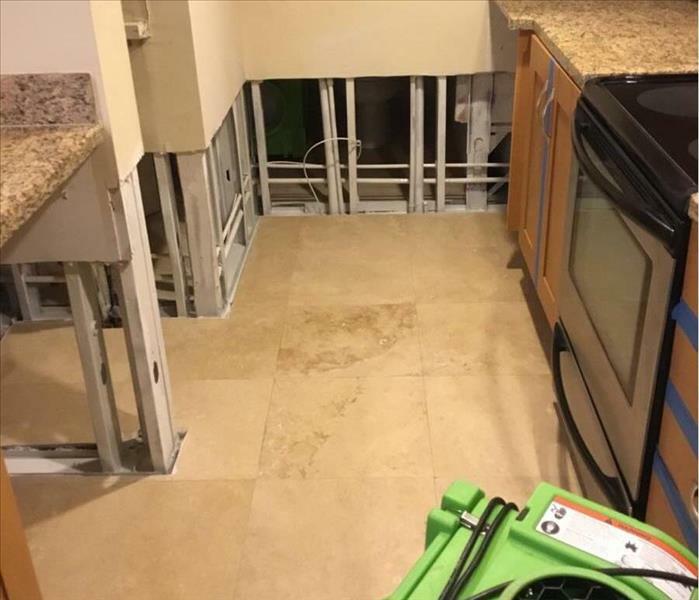 Here is another example of how SERVPRO of South Palm Beach helps make it "Like it never even happened." We live and work in this community too; we might even be neighbors. As a locally owned and operated business, SERVPRO of South Palm Beach is close by and ready to respond to your smoke or fire damage emergency. We are proud to be an active member of the Boca Raton community and want to do our part to make our community the best it can be. 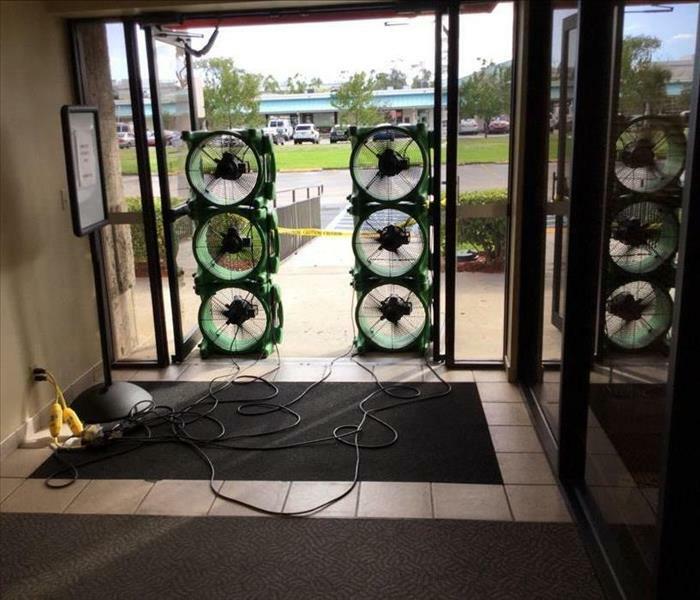 SERVPRO of South Palm Beach responds immediately to your flood and storm damage emergencies. We have the storm damage restoration experience and specialized equipment to restore your Boca Raton home or business back to pre-storm condition. In times of crisis, be sure you have our phone number readily available: (561) 391-3366. The best way to prevent secondary damage from a water loss is to react quickly and utilize the proper tools. During a micro-burst of rain, our technicians responded to this loss and immediately extracted the flood water. The cleaning products used included an anti-microbial agent which helps prevent against fungal growth. You can trust our trained team to restore your business or home after a storm, so it's "Like It Never Even Happened." When fire damage occurs, the first step is always to stop the source. Then what? 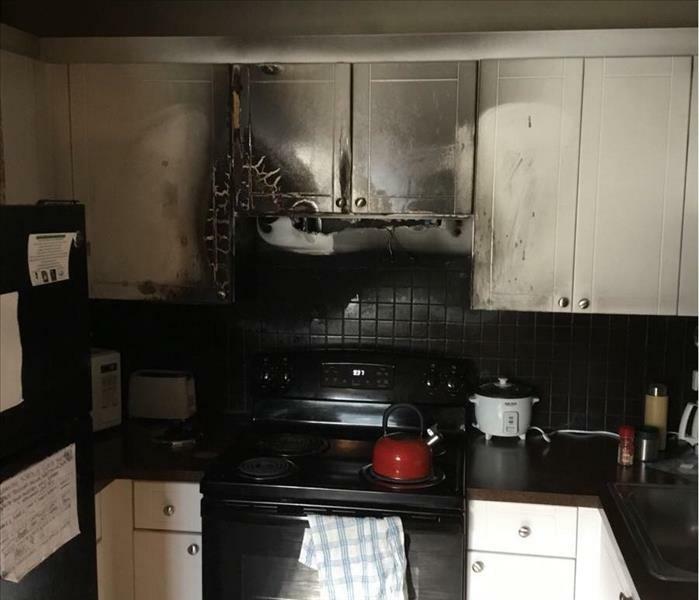 Home and business owners with a fire loss often find themselves dealing with secondary damages, including fire extinguisher dust as shown in this photo. Detailed, specialized cleaning is our specialty. We can help you every step of the way. If you have a water leak in your home or business, remember that fungal growth can occur in 48-72 hours. Mold may present a greater risk to children, the elderly or anyone with with respiratory problems. A strong, musty odor may indicate hidden mold behind drywall or under carpeting. Call our office at 561-391-3366 today for an inspection. 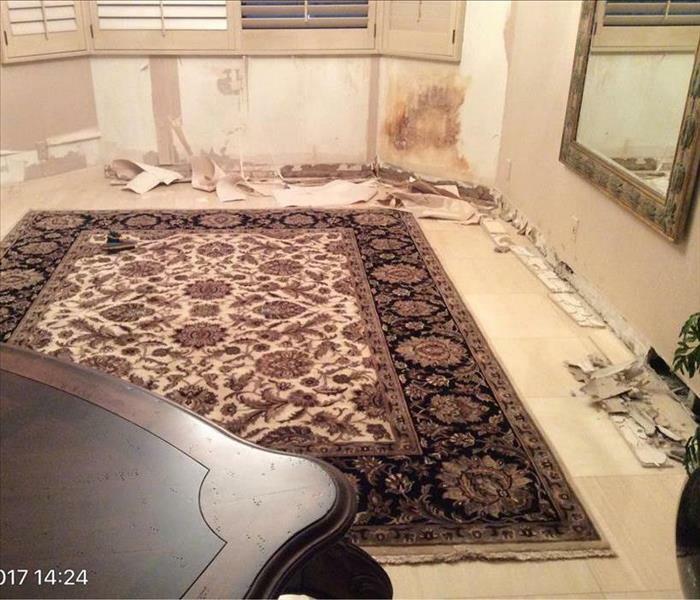 This Boca Raton homeowner did not understand the consequences of leaving a small leak unattended. These bay windows leaked into the surrounding drywall, and the homeowner started experiencing a moldy smell. Lo and behold, fungal growth had spread and needed to be removed ASAP. Our production team took her from mess to miracle, and in a short time it looked "Like it never even happened." 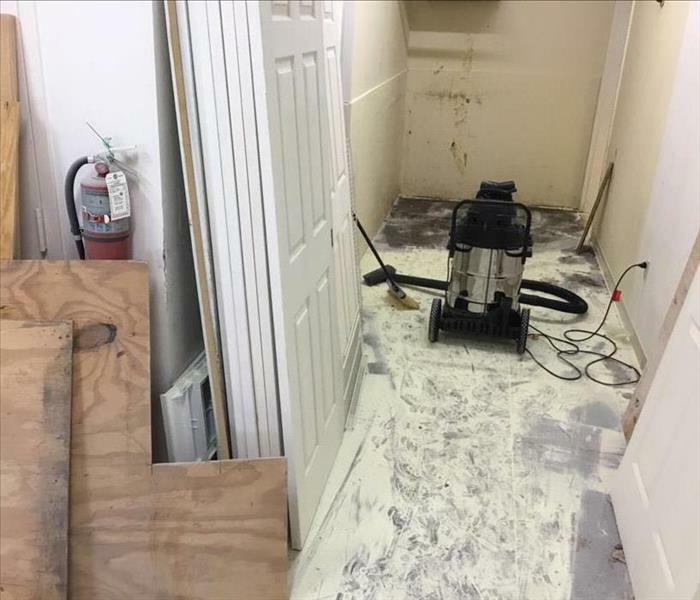 A sudden storm created a massive water damage at this Boca Raton property when high winds shattered exterior windows allowing wind-driven rainwater to flood several floors. SERVPRO of South Palm Beach applied our expertise and resources to the recovery effort. No matter what size disaster might confront you, SERVPRO of South Palm Beach will be standing by 24/7/365 to help. Call 561-391-3366 if you need us. When storm damage hits Boca Raton, it is often on a very large scale. Storms of great sizes require equipment up to the task of remediating the damage. If storm damage affects your home or business, call SERVPRO of South Palm Beach at 561-391-3366. We are here to help with 24-hour emergency service. 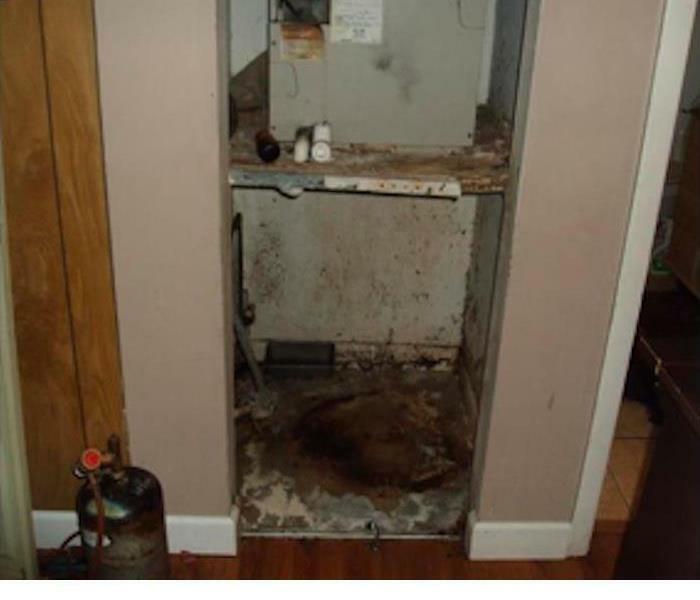 Mold damage occurred at this Boca Raton home around the air handler closet. 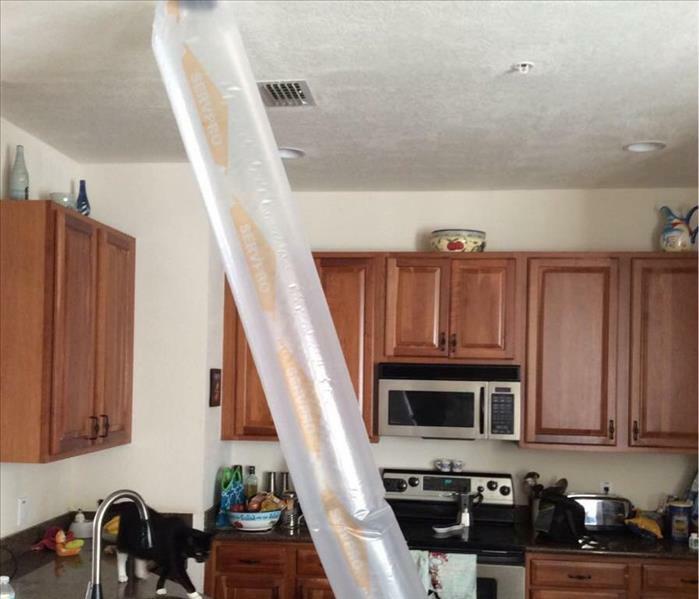 Water damage from a leak in the A/C system provided ample moisture in the dark space for mold spores to multiply. Household mold relating to cooling systems is all too common. SERVPRO of South Palm Beach has proven products and procedures to remove mold, and we are ready to correct the damage whenever called. 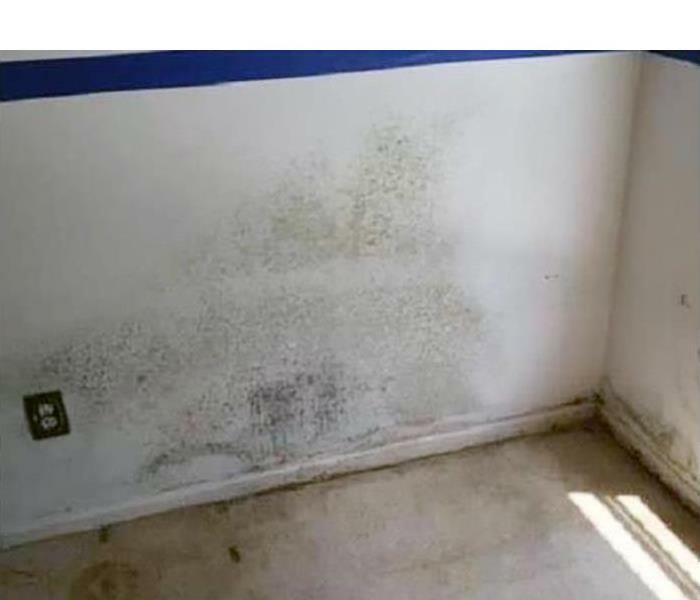 If you encounter mold at your home or business, call SERVPRO of South Palm Beach at 561-391-3366. The thing a Boca Raton homeowner dreads finding most is mold growing in their home. 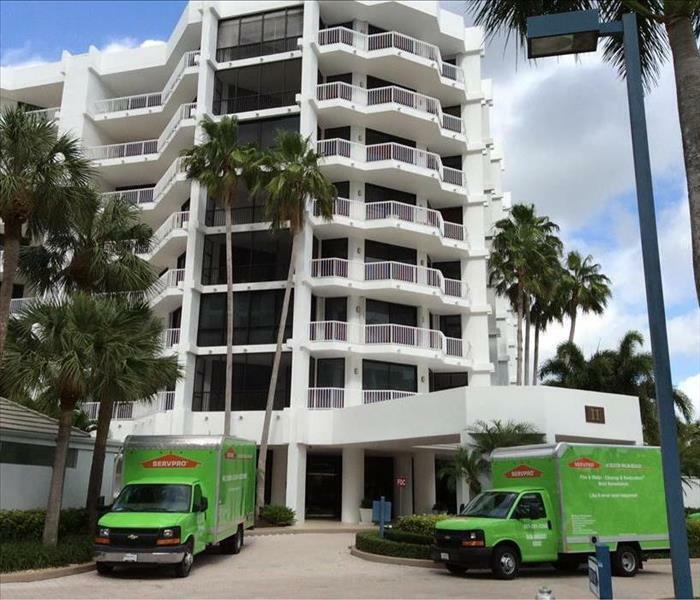 The team of specialists from SERVPRO of South Palm Beach can help remediate your problem quickly and efficiently. Since mold spreads quickly, you need to contact us immediately. We have the expertise, equipment, and training to tackle any size mold problem you might have. You can contact the professionals at SERVPRO of South Palm Beach at 561-391-3366 to restore your home to pre-damage condition. Imagine coming home to this nightmare! That's what happened to our customer in Highland Beach when she came down to Florida for the winter. An unchecked sewage leak turned into an emergency mold problem. As her home was unsafe and unlivable, our technicians quickly removed the mold and rebuilt her home "Like it never even happened." On the East coast, hurricane season begins on May 15th and runs until November 30th. Whether your family decides to evacuate or weather the storm, property damage can be a dangerous and upsetting outcome. One of our customers in Boca Raton, Florida, came home to this damage after hurricane Irma in 2017. Let us be your first call when a hurricane hits! Our team responded to a fire at a local bank branch in Boca Raton, FL. There was a heavy smoke odor throughout the bank, so our crews set up ozone machines and wiped down all walls and air vents. We worked so quickly, the bank was able to re-open the next day! Beautiful, high-rise condominiums are not uncommon in Boca Raton, Florida. The property manager of this condo called us when a water heater burst in a unit on the 6th floor. 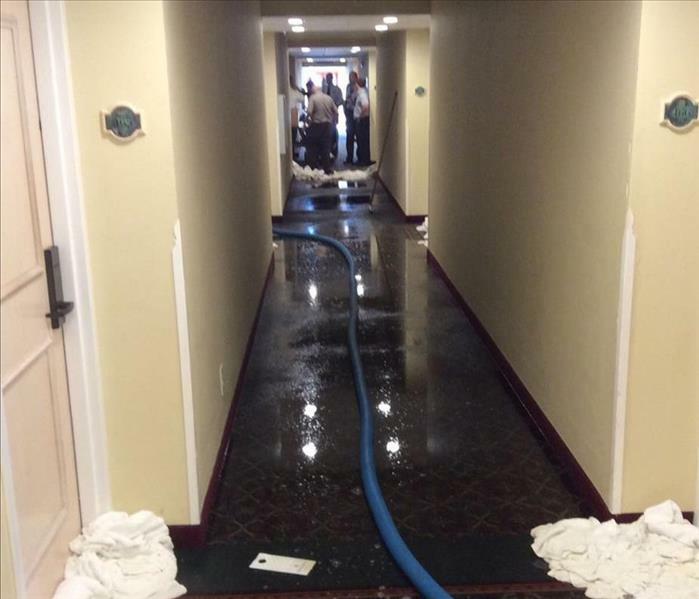 SERVPRO of South Palm Beach was immediately on the scene, extracting water, protecting contents and surrounding units. When disaster strikes, protect your home with our help! SERVPRO of South Palm Beach - Don't Handle the Heat Alone! 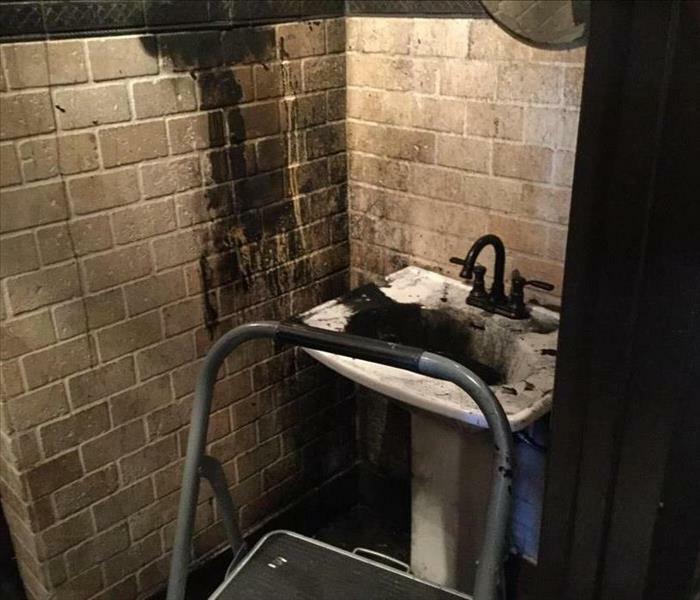 This small business in Boca Raton, FL, experienced this unfortunate fire damage from someone tampering with their automatic towel dispenser. Since each smoke and fire damage situation is a little different, each one requires a unique solution tailored for the specific conditions. Our technicians worked tirelessly to restore this property back to pre-fire condition. 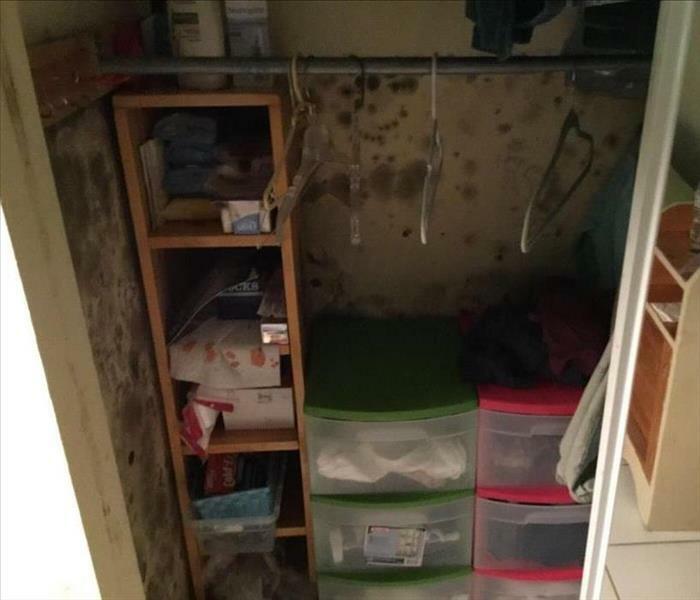 This customer in Boca Raton, Florida, woke up to water streaming into her bedroom from a broken pipe under her kitchen sink. SERVPRO of South Palm Beach was on the scene and immediately started extracting the water and salvaging her belongings. Make us your first call when a disaster happens, so we can make it "Like it never even happened." 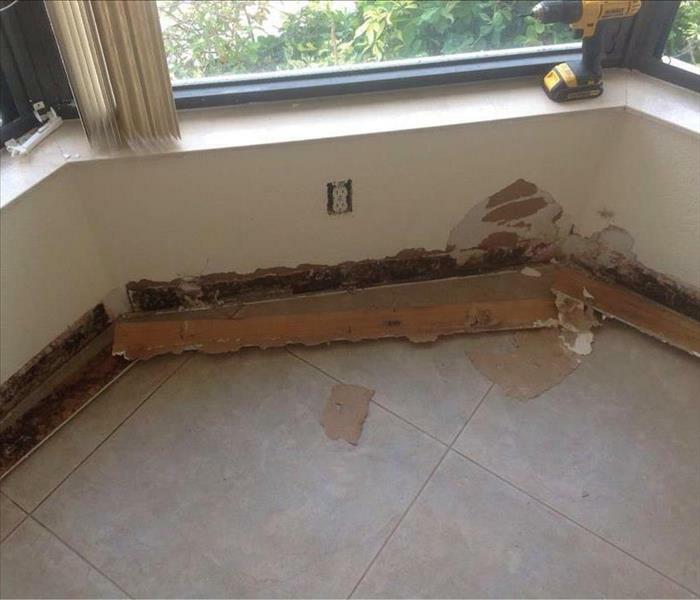 As water damage restoration specialists, we are ready to restore your Boca Raton home back to pre-water damage condition. In this photo, our technicians detached a light fixture and ducted our dehumidifier to promote evaporation within the ceiling cavity. With our expertise, professionalism and follow-through, there's no job we can't handle! 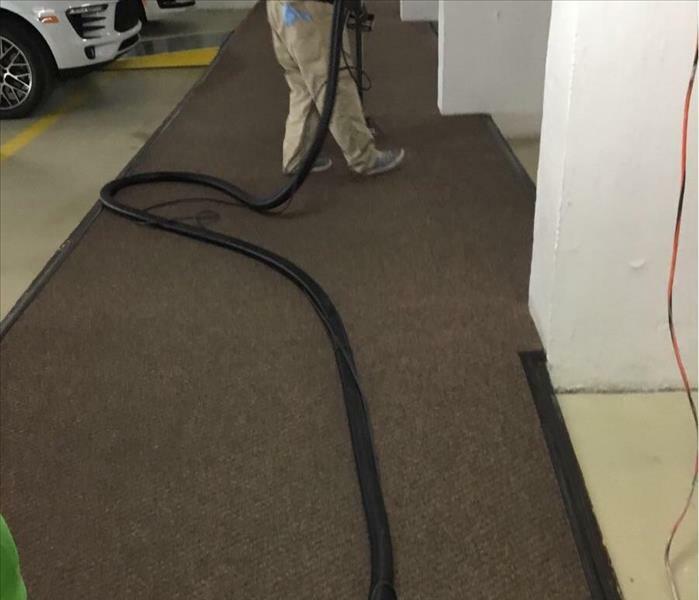 Whether it's residential or commercial, carpet cleaning is a specialty of ours. Even the highest-quality carpet and upholstery can show soiling over time. Let us help you protect your investment by calling us to clean and maintain your carpet and upholstery. Ventilation systems are often the biggest culprit in poor indoor air quality. Make it a priority to inspect the ductwork of your home or business. 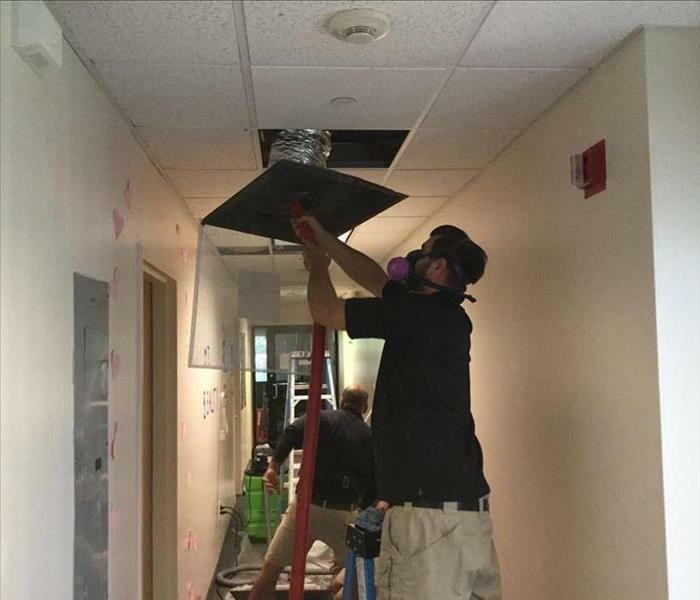 In this photo, our technicians are cleaning a commercial vent at a local daycare center in Boca Raton, Florida. Call our office for a vent cleaning quote today! 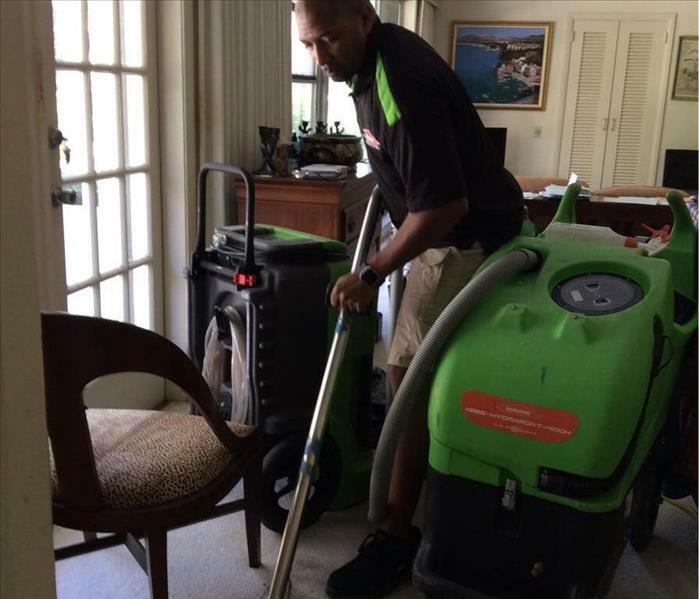 SERVPRO of South Palm Beach - Get Your Business Up & Running! This is the result of an ice-maker supply line failing at local small business in Boca Raton, Florida. Our technicians responded quickly by extracting the water and installing drying equipment. We understand the importance of responding to your loss as soon as possible to prevent further and secondary damage. Don't let your business suffer after a loss--call us anytime, 24/7/365. 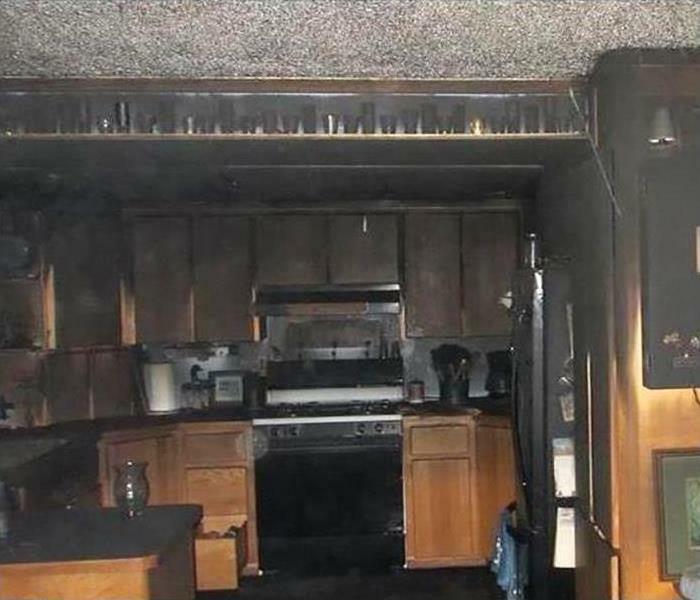 Fire damage can happen to even the best of us. We will handle the mess while you focus on what's really important--the safety and health of your loved ones. Smoke mitigation, fire remediation and reconstruction services in a professional and efficient manner is how we will help you through it. SERVPRO of South Palm Beach - Mold Issues? We Can Help! 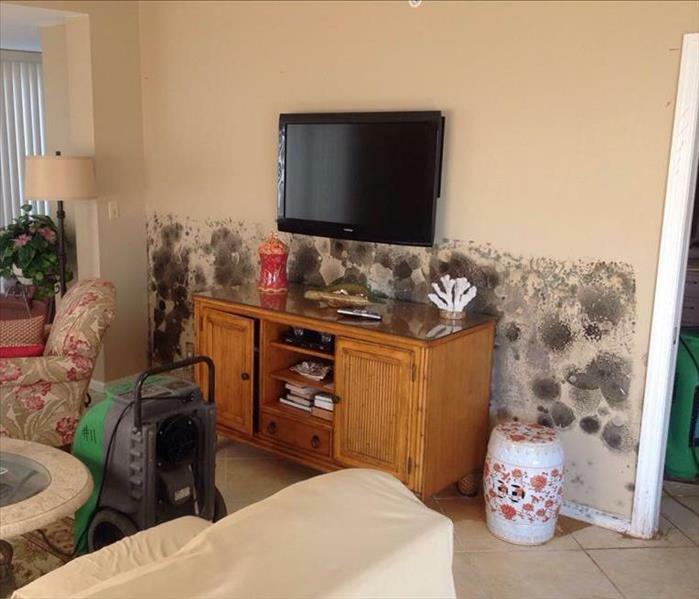 South Florida is known for the beach, sunny days and, unfortunately, mold. Pair our naturally humid weather with a broken A/C unit, and you may encounter surface mold on your walls, furniture and belongings. Our goal is to restore as much as possible and to make your home or business a safe space again, "Like it never even happened." Our technicians are trained in highly detailed micro-cleaning for both residential and commercial spaces. 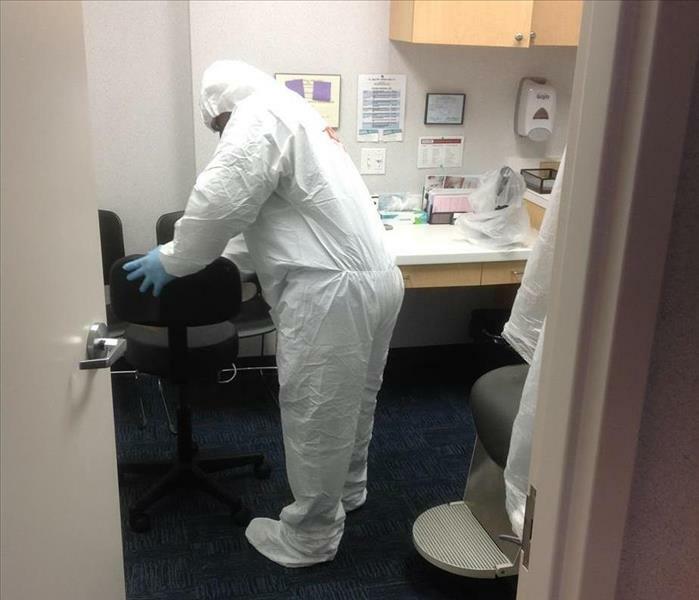 In this photo, our technician is wearing personal protective equipment and using an anti-microbial agent to sanitize a local optometrist's office in Boca Raton, Florida. We perform water mitigation services at all types of locations, both residential and commercial. 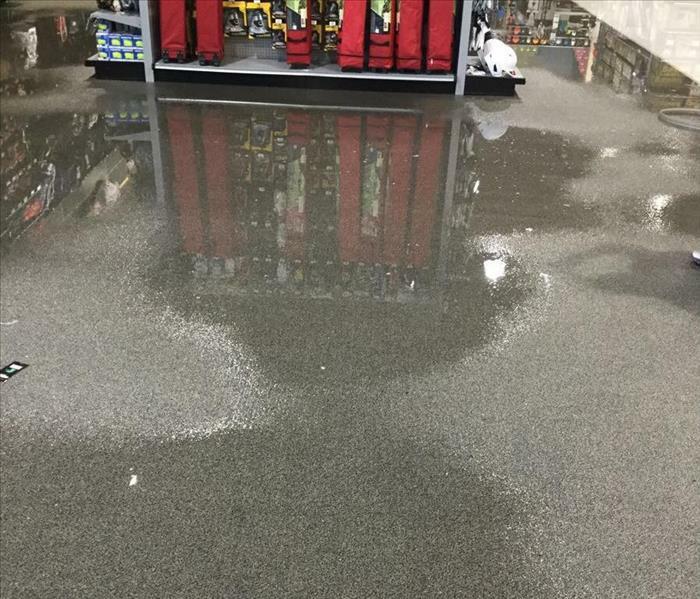 This was a water loss at our local sporting goods store in Boca Raton, FL. We responded quickly and got the store back in business! Per our industry standards, we respond 24/7/365 to your fire, water and mold damage cleanup needs. 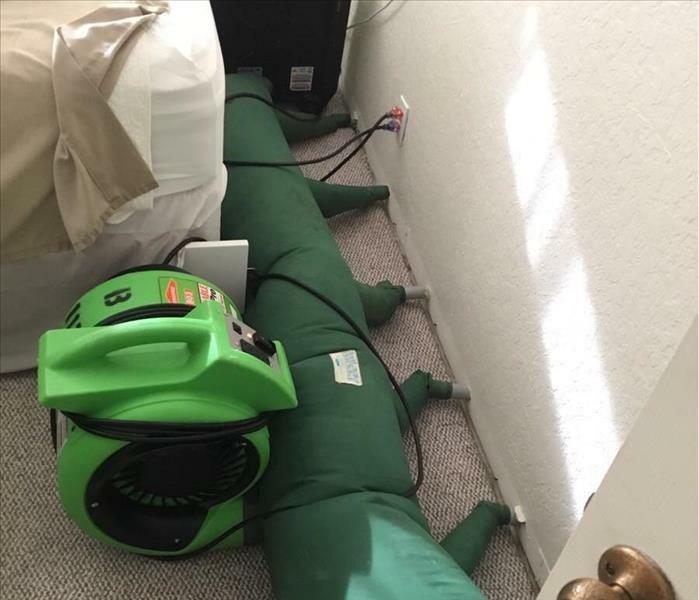 SERVPRO of South Palm Beach - Water Mitigation in Action! This is one of our highly trained technicians extracting water from an affected carpet. After water has been extracted, we then apply an anti-microbial agent to help prevent secondary damage, like mold. We also provide carpet cleaning to ensure your home or business is "Like it never even happened." Do you have a commercial property, restaurant or other facility that you've had a water disaster, flood, or another related problem? SERVPRO of South Palm Beach can help. 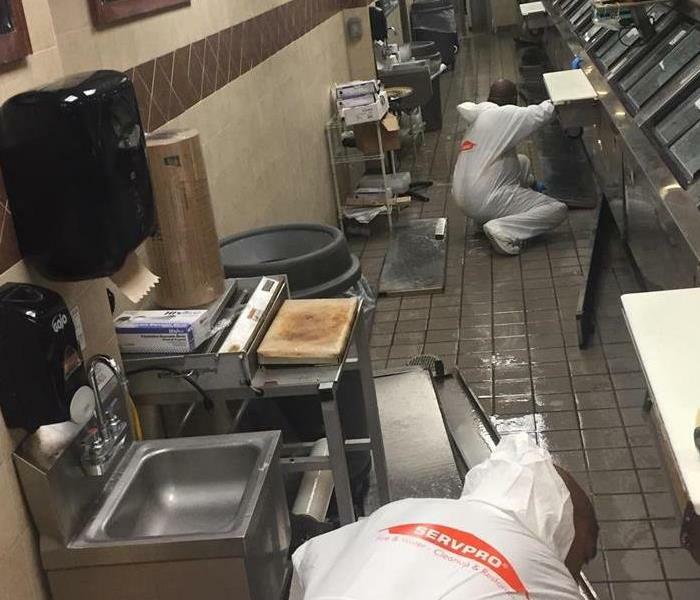 Check out this amazing job our crew did at this commercial restaurant that had a late-night water loss issue. Call us today for an estimate. 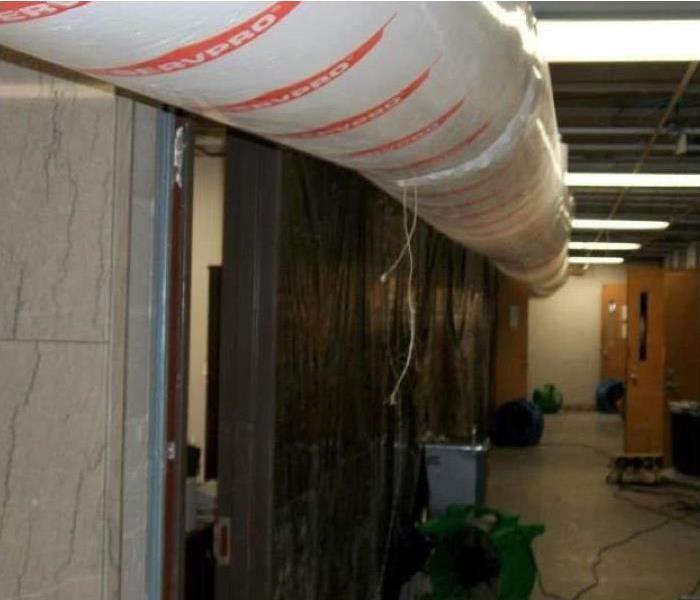 How do you know we're properly equipped to handle your water loss or mold project? Not to worry! 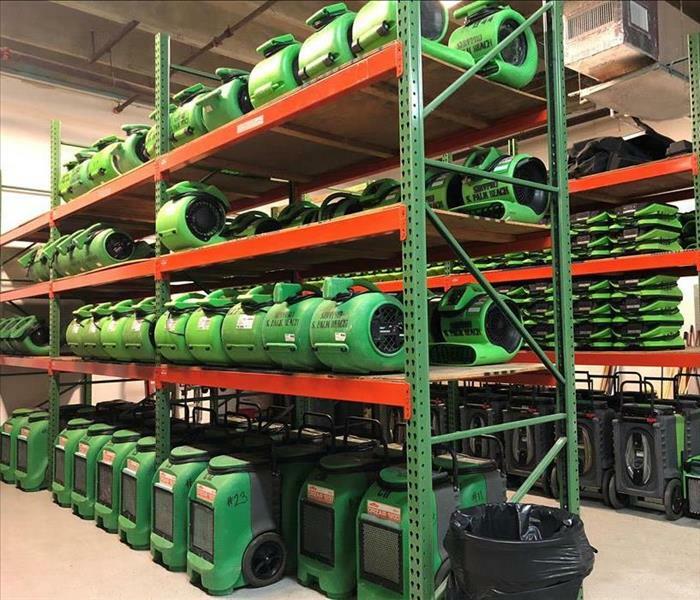 Check out the SERVPRO of South Palm Beach warehouse, completely stocked with equipment and tools we utilize to get your job done fast and "Like it never even happened." 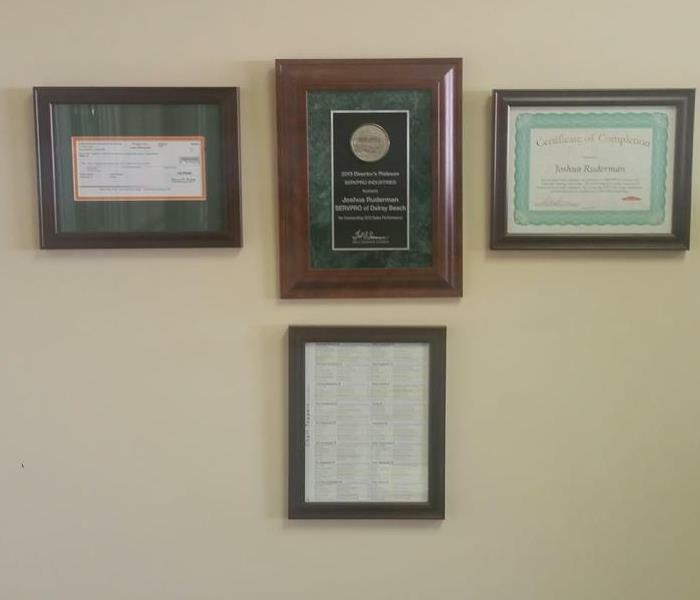 Check out SERVPRO of South Palm Beach Award wall! We have received various accolades and awards for outstanding sales and more. Thinking of selecting us for your water loss, fire, or mold disaster? We can help. Call our office for an estimate today! 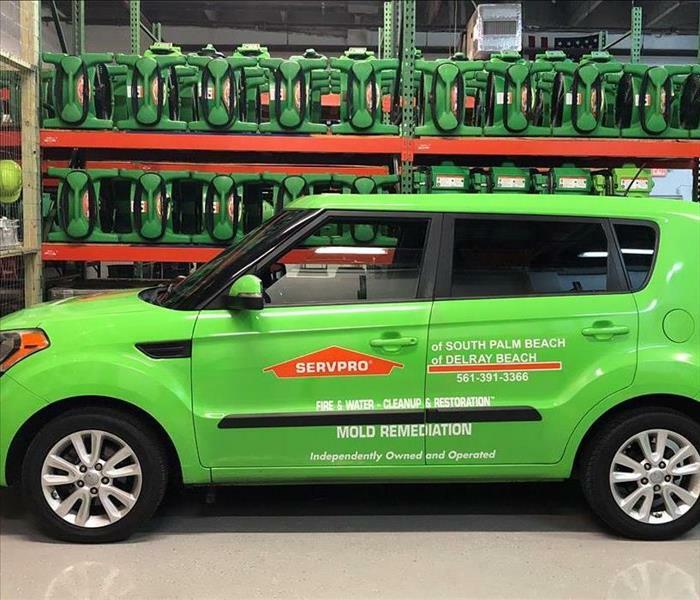 Check out our new SERVPRO of South Palm Beach sales vehicle with SERVPRO branding. 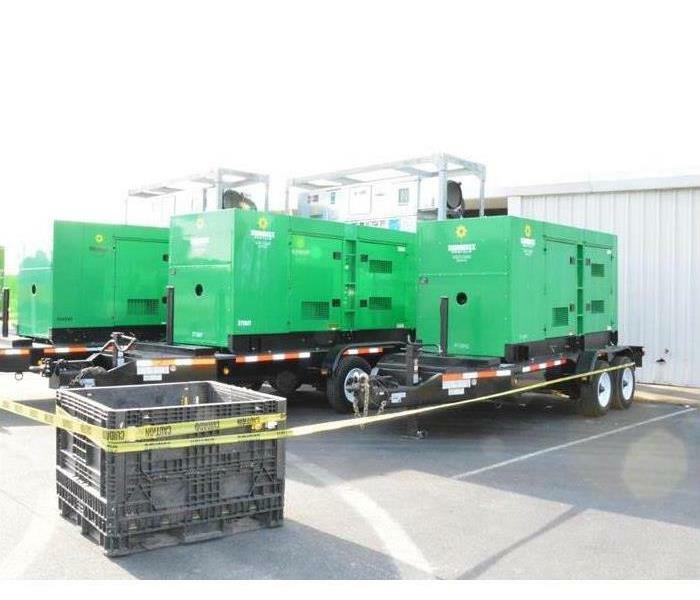 Our sales team drive these to areas affected by storm damage. Be sure to stop by and say hello if you see us on the streets of Boca Raton, FL!